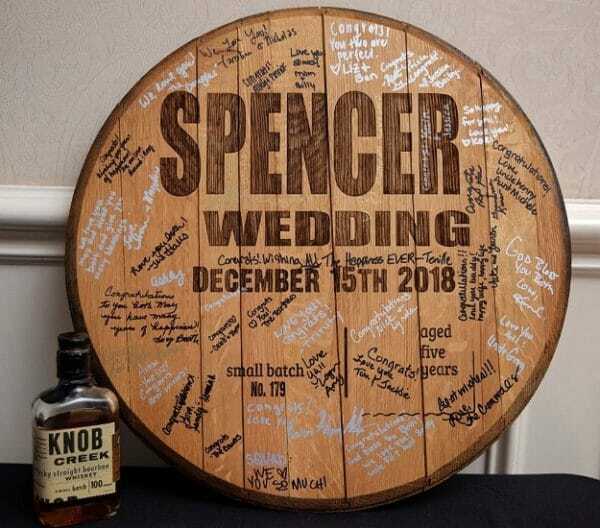 Our unique whiskey guest book is handcrafted from an authentic barrel head. Display it at your wedding ceremony and reception for your guests to sign. After the wedding, hang it in your home for a one-of-a-kind centerpeice you’ll cherish for the rest of your lives! Free Personalization: We’ll laser engrave your selected design and customization into the barrel head – permanently burning in all the details so they’ll last a lifetime. Order today and receive in 4 - 9 business days. Need it quicker? Contact us for rush options. 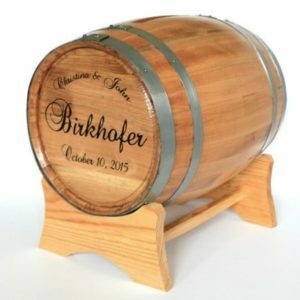 This American White Oak whiskey barrel began its life aging delicious Kentucky bourbon. For an encore, it will now serve as a truly unique guest book on your wedding day. Your guests will sign their names and messages with a black Sharpie (that we provide). Includes mounting hardware and fine-tip black Sharpie for signatures. 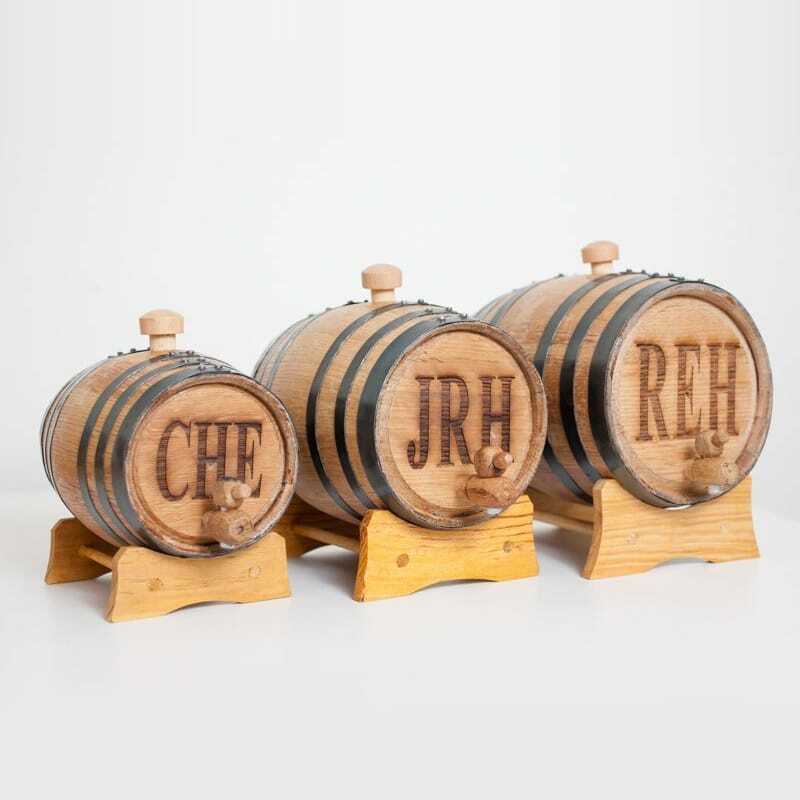 Made from real whiskey barrels. Due to the weight & size of this product, it is not eligible for our free shipping offer. 22 × 22 × 1.5 in.